The End of Television is here! 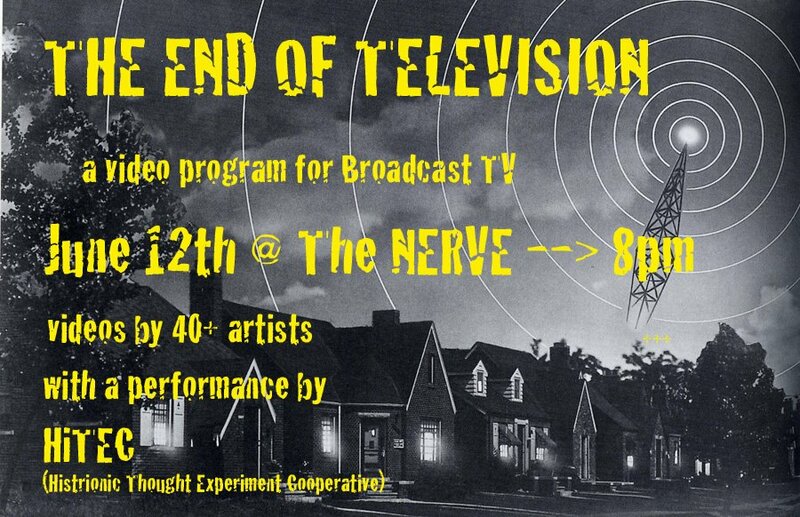 40 plus artists (myself included) are being broadcast on the now abandoned analog signal in Pittsburgh. For more info check out the End Of Television Blog.